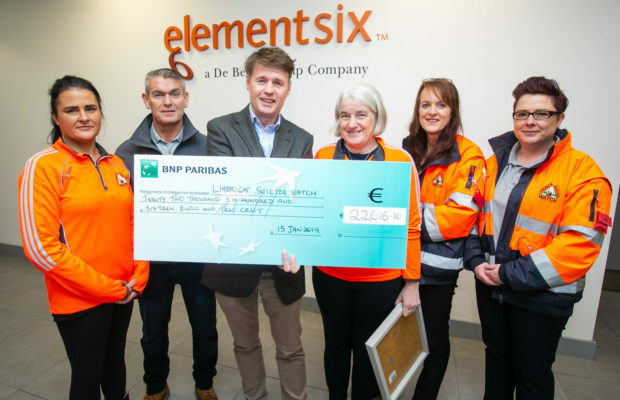 Leading supplier of synthetic diamond, Element Six, delivered a new year financial boost to the life-saving volunteer organisation, Limerick Suicide Watch (LSW). Throughout 2018, employees at Element Six’s Shannon-based facility led a variety of fundraising initiatives to raise money for this deserving charity. Fundraising events included a charity cycle, sponsored walk, weekly bake sales, an Easter raffle and a Christmas lunch. 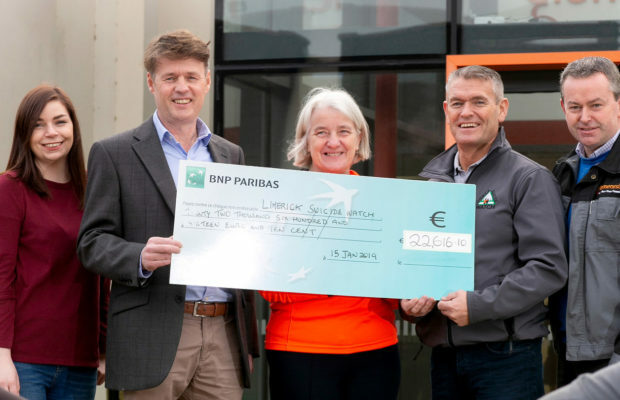 As an extra boost for the team’s fundraising efforts, the amount raised by employees was then matched by Element Six to bring the total donation for LSW to €22,616.10. Element Six, part of the De Beers Group of Companies, designs, develops and produces synthetic diamond and other supermaterials, and operates worldwide with primary manufacturing facilities in Germany, Ireland, South Africa, the UK and US. 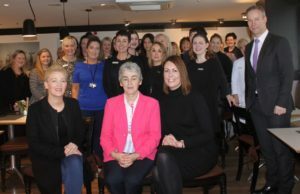 When speaking about the Element Six fundraiser, Grainne commented “This is our second year choosing a designated charity and we are thrilled with what’s been achieved. It means a huge amount to the team at Element Six that we were able to raise such a significant amount of money in just one year. 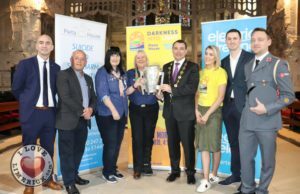 Limerick Suicide Watch is a group whose main focus is to keep eyes on the river Shannon and to identify and provide support to those in stress who may be contemplating suicide. Their patrol teams are completely made up of volunteers who work hard to prevent cases of suicide from happening. They are on duty Monday, Tuesday, Thursday & Saturday night, but in the near future, the group hopes to be on patrol 7 nights a week as they look to bring on board a number of new volunteers. 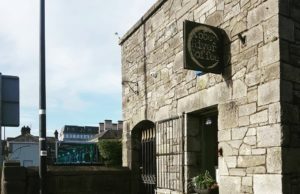 Limerick Suicide Watch is always looking for donations as well as volunteers to aid in their mission to prevent people from committing suicide as much as possible. “The course was hugely beneficial because, on top of being able to raise funds for the organisation, we received valuable insight into the work of LSW and the volunteer work that keeps it going. It’s been a really positive experience all-round.